The Cabinet of Prime Minister Shinzo Abe on Tuesday approved the installation of two land-based Aegis Ashore missile defense systems to defend against North Korea’s growing nuclear and missile threats, highlighted by a test of what appeared to be an intercontinental ballistic missile last month. 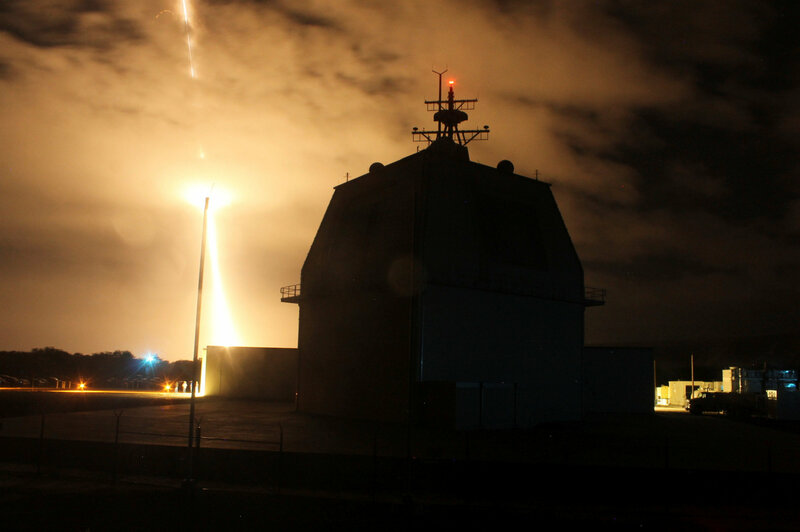 The approval will allow the Defense Ministry to buy two Aegis Ashore systems to add to Japan’s current two-step missile defense system consisting of Patriot batteries and Aegis-equipped destroyers. Defense Ministry officials said the government plans to deploy the systems in two places, by 2023 at the earliest, but that the locations are yet to be decided. The cost of each system could be more than ¥100 billion, they said. Aegis Ashore, a U.S.-made land-based version of the Aegis combat system developed for warships, is a collection of radars, computers and missiles. Acquiring Aegis Ashore would protect the entire country, from Hokkaido to Okinawa Prefecture, the government says. The government had also considered a different U.S. system, the Terminal High Altitude Area Defense (THAAD), but it would require six sites to cover the nation. Aegis Ashore is more cost effective, according to the Defense Ministry. The new system would reduce the workload of the Self-Defense Forces in preparing for missile intercepts compared with the sea-based operations of Aegis destroyers, according to ministry officials. To expedite the introduction of Aegis Ashore, the ministry plans to earmark ¥2.8 billion for information-gathering activities in the supplementary budget for the current fiscal year ending in March. It is also seeking ¥730 million in next year’s budget to cover design costs and research fees. 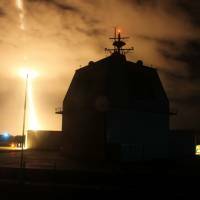 “We cannot say what the final costs will be, but we will move ahead (to introduce Aegis Ashore) on the fastest possible schedule, given public calls that the government should deal as swiftly and urgently as possible with the ballistic missile defense issue,” Defense Minister Itsunori Onodera told a news conference on Tuesday. In the ministry’s initial budgetary request for fiscal 2018 made in August, which came to a record-high ¥5.26 trillion, the ministry said it was seeking funds to introduce a new missile shield system, while leaving the actual sum unspecified. Japan’s current missile shield comprises two layers. The first is Maritime Self-Defense Force destroyers that can stop missiles in the outer atmosphere using the Aegis combat system and Standard Missile-3 interceptors. The second layer is the Air Self-Defense Force’s ground-based Patriot Advanced Capability-3 missiles, designed to counter attacks in the lower atmosphere. Aegis Ashore, to be equipped with newly developed Standard Missile-3 Block IIA interceptors, will be an addition to the two layers to defend wider areas, and will be operated by the Ground Self-Defense Force. The government plans to start selecting areas for the facilities, but the deployment could trigger concern among residents living nearby as the system’s radars emit strong radio waves. So far, the government is considering Akita and Yamaguchi prefectures as candidate sites, sources said.